With the rise of up and coming lighting protocols like ACN (Architecture for Control Networks), and others, you may be wondering how to put your best foot forward when it comes to deciding on a lighting system’s communication solution. Variety can often be the spice of life, but not when you’re trying to keep a system setup as simple and as future-proof as possible. How do we make sense of the format and protocol race? How can we be sure of which protocol is going to win out over the rest and become an industry standard? What is the best way to plan ahead? The answer is, sometimes there is no easy answer. Let’s take a quick look back at the history to make some sense of where we are today. Format and protocol issues have been bouncing around the lighting industry for many years. Many of the issues have to do with all of the equipment in a system working together without having to rely on peripheral or third party gear. In the 1980’s, dimmers and consoles didn’t all speak the same language. There was essentially no way for the components of a lighting system to communicate if they were purchased from different manufacturers, unless you also purchased “black boxes” to bridge the gap. This ended up being pricey and difficult to keep up with. 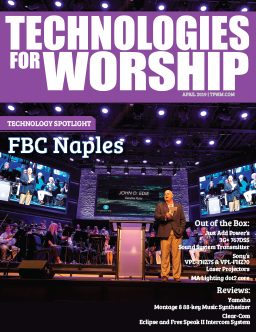 Lighting systems were already for the most part out of reach for the average house of worship tech budget, so the prospect of having to purchase translational equipment made the matter even more challenging. To simplify the issue, the USITT (United States Institute of Theatre Technology) developed a communication protocol for all lighting manufacturers to adhere to when developing new equipment. They wanted to make sure one company’s gear could have a commonality with another’s, even around the world, so installers wouldn’t have to rely on one sole manufacturer for all the components to make an entire system work. Eventually, that protocol was dubbed DMX512 or Digital Multiplex 512. And the rest as they say, is history. Sort of. Now, over 20 years after the first announcement about DMX as a lighting protocol standard, there is discussion in the industry about how it can be best used to bring all of the manufacturer’s products together to live happily ever after. Part of the discussion deals with a discrepancy in the cabling standard over which DMX travels. Most of us have probably already heard about the 3-pin, 5-pin issue. If not, the gist is this: the ANSI standard for DMX is that it is to be run on five pin connector cables. Five pins were chosen perhaps partly as a means to provide for future expansion and to differentiate from the widely used 3-pin XLR audio cables that were already everywhere. At this point it should be pointed out that audio grade or other unrated control cables were not designed to carry data signals like DMX, and in certain cases using these cables may compromise your system. It has much to do with the way the cables handle the transfer of packets and interference— and in order to keep the page count of this magazine under phone book size, we won’t get into that here. Even so, lighting operators and techs still run DMX on mic cables, and manufacturers have developed lighting devices with 3-pin ports, much to the dismay of those folks who wish to ensure that the standard is adhered to. The choice to use three pins over five was a purely economic decision, which has not helped in maintaining the standard. It is common to find 3-pin DMX cables offered by cable manufacturers, even though it does not technically fit with the appropriate standard set out by the ANSI. Something intriguing to note about all of this is that the proper 5-pin DMX cable— the one that everyone is supposed to be using— does not make use of those extra two pins. Pins four and five are right now like empty subway tubes, waiting for something to travel through them. Here’s another thing: DMX doesn’t talk back. This means that the lights in your system cannot use DMX to communicate back to the lighting console. Each moving light or otherwise “intelligent” device needs to have it’s own separate address on the network in order for the lighting console to send it commands, like “shut off” or “turn on”. Therefore, step-ladders have been an integral part of the addressing procedure for events involving hanging intelligent fixtures for some time now. If the lights aren’t each addressed on the ground prior to being hung on the truss, guess what? Some poor volunteer is going to have to work off lots of calories climbing up and down to address each one of those fixtures manually, in order for the console to be able to see them on the network and dole out commands. Before the industry has the ability to work out the standard considerations for DMX, there is another stranger in town, and it rides a horse that looks eerily like a phone cable. Ethernet cable is not only accessible, it’s pretty well dirt cheap. Slowly we’re seeing more lighting consoles and fixtures come into the marketplace with that easily identifiable rectangular data port built in. Ethernet allows for the transfer of lighting protocols like ACN, ArtNet, DALI and others, opening the door to a whole new world of possibilities. Even though DMX can technically still run on Ethernet cable, some of these newer protocols may offer features that end up being more appealing and practical to lighting techs, potentially leaving DMX behind in the standard race. But wait— all is not lost for DMX. The main question at hand here is: What is the best move a church can make when they are installing a new lighting system, or even revamping an existing one? How can they use their budgets to both augment their current setup (add cool stuff) as well as future-proof later infrastructure (add more cool stuff later)? 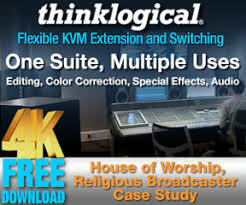 Should churches be bothering with looking into systems that accommodate DMX at all? It brings us back to the original question. “It’s far from it,” says Steve Terry, VP, Research & Development at Electronic Theater Controls Inc, who chaired the USITT committee that wrote DMX512 in 1986, and was the founding co-chair of the ESTA Control Protocols Working Group that recently updated DMX, created RDM, and created ACN. “You have a twenty-one year history of DMX being the interoperability protocol of choice in our industry, and it’s not going away, nor should it go away. The topology Terry mentions is referred to as a “daisy chain” topology. This topology may be one of the heaviest arguments for why DMX may stick around. It basically means that you can daisy-chain your lighting gear, as in connect one device to another without having to run cable back to a switch, hub or gateway from every single device. This is obviously an extremely handy thing, especially when you already have all of your lights hung up on the truss. As it stands, ArtNet and ACN, which both travel over Ethernet, require home runs from each device on the system. Not necessarily a “home run” for either of these protocols. The last little bit Dudgeon mentions refers specifically to the final section of cabling that completes the connection from the lighting console at front of house to the lights on the stage. The front of house lighting console in some facilities may end up being hundreds of feet from the lights. What some facilities have done is run a data line out from the console through conduit in the walls, which eventually attaches to a gateway or hub, splitter or opto-isolator, then branches into DMX cabling to complete the pathway to the lights. The beauty of that last 100-300 feet if you are using DMX is: you’ll only need one DMX cable to run to the first device in the series, then you can daisy chain to the rest, without having to run cable back and forth from the splitter for every single light in your configuration. This could be taken as a point for DMX. Evidently it’s an extremely practical way to finish out that last little bit of an installation. Now let’s get into one of the protocols that is getting a fair amount of attention recently- where does ACN fit into this? “ACN is complicated.” comments Doug Fleenor. “The first DMX standard book was maybe nine pages long. The new ANSI standard which includes a lot more information is just less than a hundred pages. ACN is like five or more separate standards. It assumes you already understand Ethernet. It’s based on TCP/IP- the Internet protocols. Before you even get into ACN you have to read the TCP/IP specs and understand them. Let’s talk about what we want to get out of all of this. If you’re talking to a consultant or contractor about designing the infrastructure for your new church, what type of cable should be recommended? So this is where we see the complications increase when trying to determine whether there will be a death for DMX. DMX is a communications protocol. Does it need DMX cable to travel from the console to the lights? No, it can ride on the Ethernet horse. So in essence, DMX as a protocol survives the transition when referring to cable runs through a facility. You can run Ethernet from the console all the way to the devices on the stage, with the option of running DMX512 over it. Or you can run Ethernet from the console to a splitter closer to the stage, and then run DMX512 cable to finish out that last mile. In either case you are still including DMX512 in your equation. More points for DMX512. Is DMX upgradeable and customizable? Well, that brings us to the next element of study, which you may have already heard of. So remember that thing about DMX not being able to allow the lighting fixtures to talk back to the console? Well, there’s another development in the lighting industry that is still relatively new, which may have provided a workable solution to this problem. An interesting benefit to RDM is that it does not complicate the 3-pin/5-pin issue. RDM can exist on the same pins with DMX signals. This is great news for facilities that have already run 3-pin DMX cable through their walls to their lighting systems. Or, for those facilities who ran 5-pin DMX cables that were configured incorrectly by going out from the lighting console on one pair and coming back from the lighting fixtures on another, (using up four-out-of-five pins on the DMX cable) RDM doesn’t complicate this issue either because it shares the space on the already inhabited pins- it doesn’t need an extra pair to work. “[RDM] is not designed generally to control loads, it is designed to tell you what is going on.” adds Bob Goddard. “Its basic purpose in life is to let you know that the equipment you set up is still there, and it’s still working and that you don’t have to get someone in to service it. Extended the usability, and prolonged the life, as it were. So the question of whether DMX is dead has been answered unequivocally, at least for the time being. DMX as a protocol is not dead, and it seems as if other protocols are building on it, not over it. The question that may end up having some validity is whether DMX512 cable is going to end up being phased out of future installations, and even then, DMX cable may still end up being used for the last mile. “Because there are so many pieces of DMX equipment out there, especially in the church market where equipment is swapped and traded to other churches, we’re going to be stuck with this stuff for a very long time, and it does work.” Miles Dudgeon states. “It gives that nice look and it’s affordable. Of course you are going to want that shiny new console with only an RJ45 on the back of it. So there’s going to be room for a lot of people in that middle space to translate the protocols around. There are going to be tens of thousands of churches running DMX quite happily. 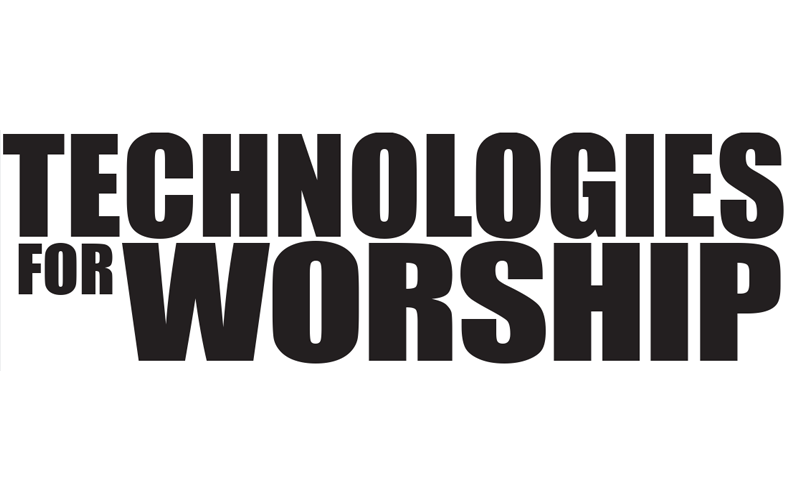 There’s probably tens of thousands of churches out there running analog quite happily. Perhaps from the turbulence of the early days, when the lighting industry was fraught with products that had a hard time communicating, we can learn from modern systems about how, even though there may be more than one language in the system performing different functions, all together they can be merged to make a system work. After all, all of these languages and protocols are working towards the same goal. Pretty deep, when you think about it.